Around the Fall of last year, I took a sabbatical from criticism of “them.” We seem awash in partisanship there seemed no point in continuing. Atheism is false, I believe, but then I have learned a great deal from decent atheists. Christianity is true, but I am far from being the Christian I should be. 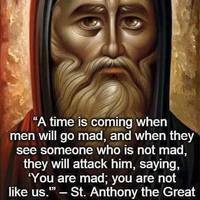 We are (0bviously) in a dangerous time, but also in a glorious season. What if I focused on learning from everyone I could? This has been (generally) glorious. Of course, we must oppose evil, but too often our opposition to evil is merely a dodge so we do not have to love the good ….